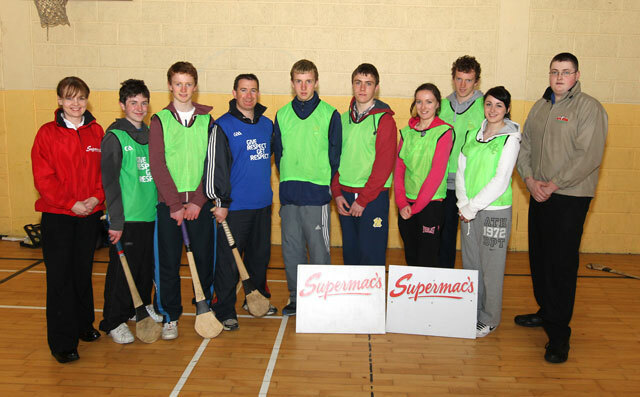 Joan Collins, Supermacs Castlebar, (on left) sponsors of Castlebar Mitchels Schools Coaching programme pictured with coaches Conor Murphy, Eamonn Kennedy, Adrian Hession, Shane Nugent, Cathal Walsh, Katie Lane, Barry Lane, Leighann Grier and Gary Fahy, Supermacs. Photo: © Michael Donnelly Photography. Training continues at 6pm on Wednesday in McHale Park. To all who hurled in the blitz in Castlebar last Sunday evening - well done - some great performances in bad conditions. Lotto took place last Wednesday night in the Harp Bar where 2 lucky spinners won €100, our thanks to Kevin and Paul in the Harp and to all who bought and sold tickets many thanks. Coaching started yesterday Monday 14th May and continues till Friday 22nd June.